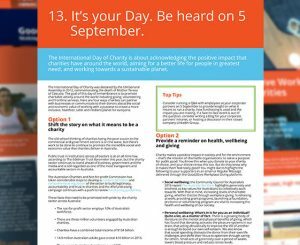 Read our top four tips on how to engage your corporate partners and workplace givers to support charities. 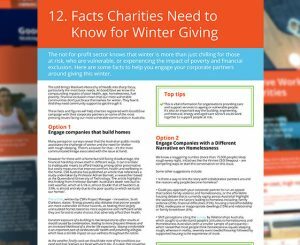 Here are some facts to help you engage your corporate partners around giving this winter. 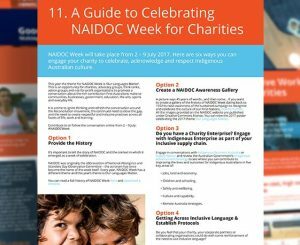 Six ways you can engage your charity to celebrate, acknowledge and respect Indigenous Australian culture. 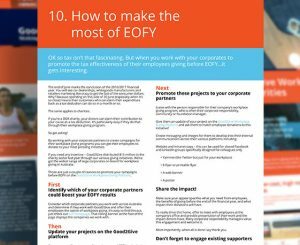 How to make the most of EOFY to encourage donors to give to your most pressing initiatives. Read how BCNA grew donations by 33% with two corporate partners. See how to refer your corporate partners and open an exciting new donation stream.